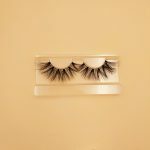 Today we introduce the last DH012 of our 12 styles big eyelashes. 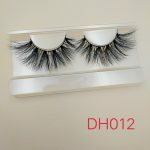 Compared to other large eyelashes, DH012 does not look very heavy and feels very light. Mainly composed of 6 large pieces. The DH012 end is warped, like a girl wearing a skirt in spring, isn’t it? So DH012 is very suitable for girls who like to make light makeup, at least I feel like this, because it is not heavy, not very suitable for heavy makeup, is the feeling of first love. DH002 is so beautiful, every girl deserves to have her. At least she is like a first love, something that every girl has ever expected. 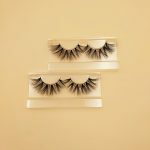 OK, These 12 styles 3D big eyelashes have all been introduced to you, I think Anyone who listens will be Beckoning., then take action!